Building your own special piece of furniture can be a rewarding experience, plus it allows the entire family to admire your work. House Plans and More has a variety of do-it-yourself indoor furniture plans that allow you to create a one-of-a-kind treasure to use and display in your very own home. Everything from bunk beds to a roll-top desk can be built. Plus, the finished piece can be customized to match your existing furniture and painted with the same stain or glaze. Or, try painting the piece in a fun way for your child to enjoy for years to come. 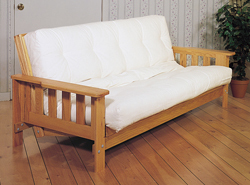 Our collection of indoor furniture plans includes many types and styles of do-it-yourself carpentry projects. We offer easy-to-follow drawings that makes it easy to see what the finished piece will look like. With a wide variety of plans, we are sure that you will find the perfect do-it-yourself project to fit your needs.